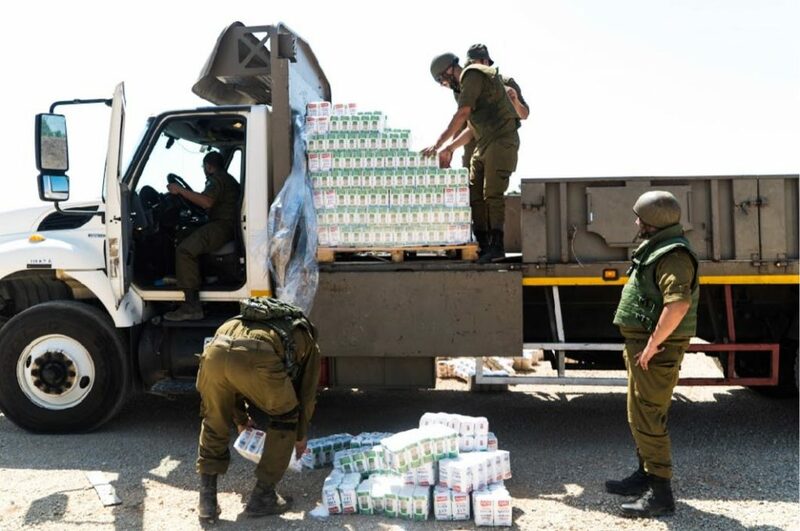 The IDF announced Thursday that it had officially ended its “Operation Good Neighbor” program, ending over five years of humanitarian assistance that Israel has given Syrian nationals near the border. “The large and long-running humanitarian effort has come to an end with the return of the Syrian regime to southern Syria,” the IDF said in a statement. The IDF began allowing injured Syrians into Israel for medical care in early 2013, first treating them in field hospitals and later at Israeli hospitals. 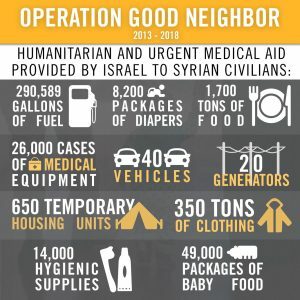 This assistance expanded considerably in 2016 with the creation of “Operation Good Neighbor,” which saw far more material assistance being transported into Syria, as well as the creation of a day clinic on the border and a program to allow Syrians into Israeli hospitals for non-battlefield-related ailments, including things like deafness. According to the IDF, since 2013 close to 5,000 Syrians were brought into Israeli hospitals for medical treatment, including 1,300 children. Another 7,000 people were treated in the day clinic on the border. 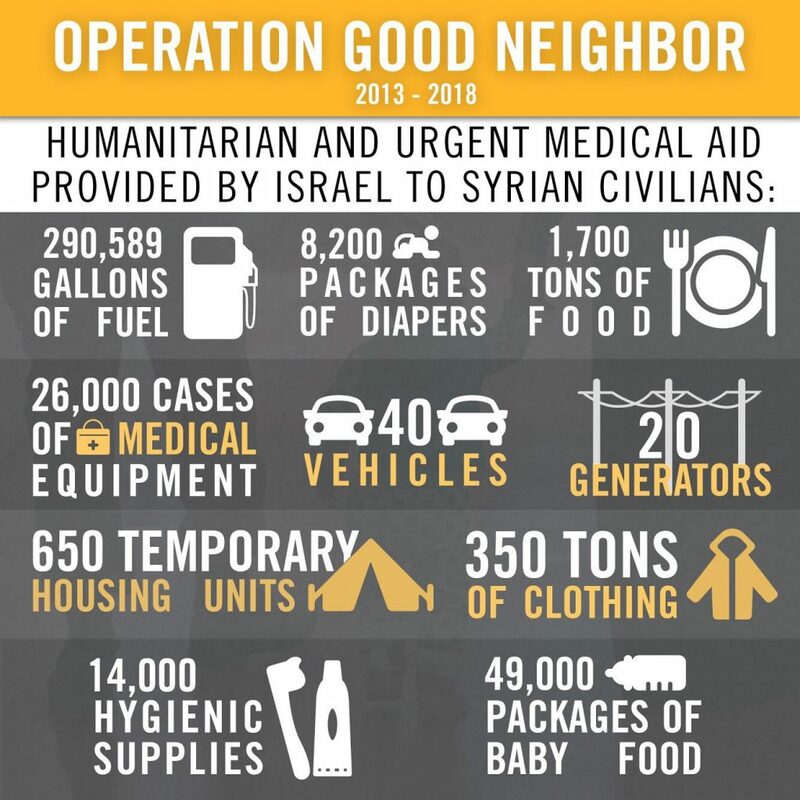 In addition, over these five years, Israel transported into Syria 1,700 tons of food; 1.1 million liters of fuel; 26,000 cases of medical equipment and medication; 20 generators; 40 vehicles; 630 tents; 350 tons of clothing; 8,200 packages of diapers; and 49,000 cases of baby food. Along with the statistics, the IDF on Thursday also released a number of testimonials from Syrians helped under the program. 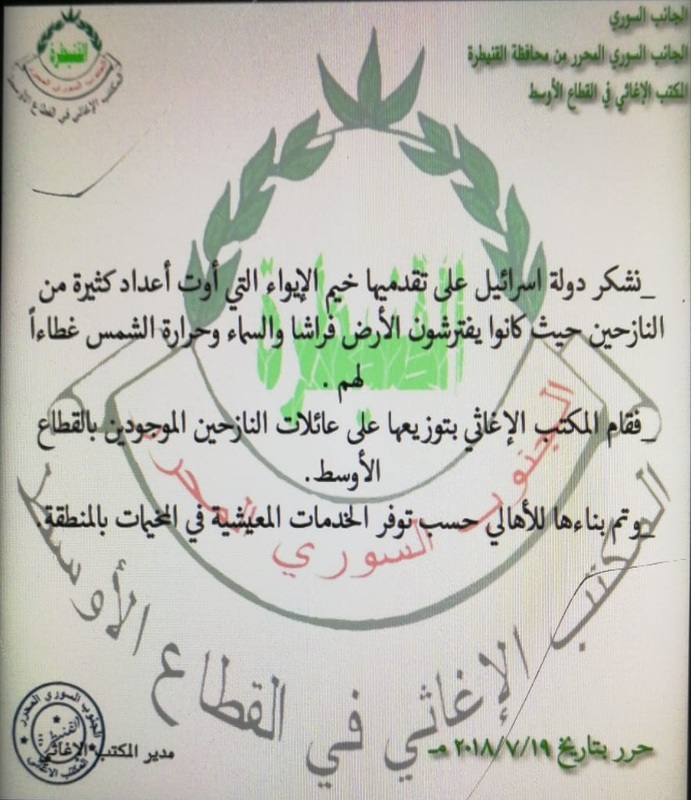 The IDF also received an official letter of thanks from one of the civil defense groups in southwestern Syria. 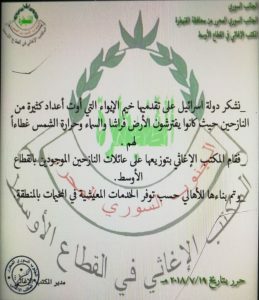 In a statement, the IDF said that despite the ongoing humanitarian issues in southwestern Syria it is ending the program now that Syrian dictator Bashar Assad has taken control of the area, after an offensive that he launched earlier in the summer forced the remaining rebel groups to surrender. The IDF said it engaged in the extraordinary gesture due to the “immediate risk” to the lives of the civilians, as Russian-backed regime forces closed in on the area. It stressed that it was not intervening in the ongoing fighting in Syria. While largely keeping to the sidelines of the Syrian war, Israel has reiterated that it will not allow Iran or the Lebanese terror group Hezbollah to establish a permanent military presence near the Israel border. They are both allied with Assad and have provided crucial military support to his forces.